This is Model # 8698B. 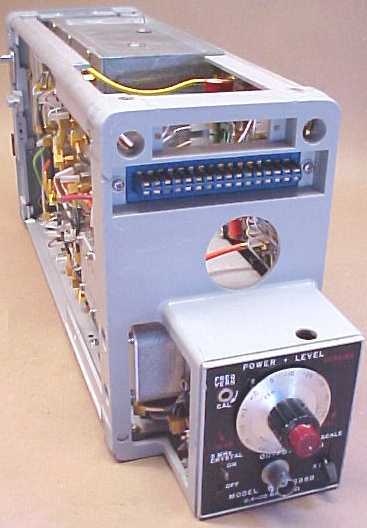 The 8698B RF Plug-in is an all solid state unit designed for use in the 8690 Mainframe covering the frequency range of 0.4 - 110MHz. 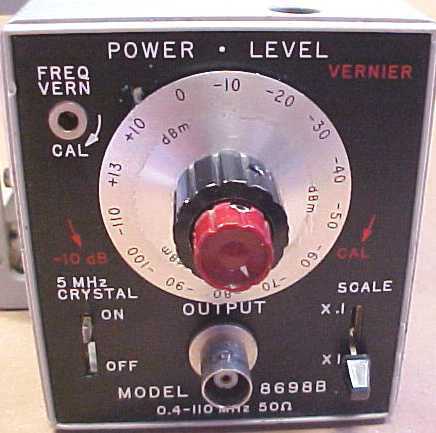 Maximum Leveled Power: >20 mW (0.4 - 110MHz), +6 mW . Frequency Accuracy: ±10MHz PIN Leveled.